FRYBURG, Pa. (EYT) – The 9th Annual Fryburg Mayfest 5K Fun Run/Walk in memory of Kami Dinger is slated for Friday, May 25, 2018, at 7:00 p.m.
Touted as being “one of the toughest races, but one of the most fun,” the Fun Run/Walk will start at the Saint Michael’s Church along State Route 208 in Fryburg. It takes place on an all blacktop course that runs through the rolling hills of Fryburg and Marble. This year’s race is being held in memory of Kami L. Dinger (pictured below), with all proceeds going to the Washington Township Community Association Memorial Scholarship Fund. Kami Dinger, of Fryburg, passed away unexpectedly on October 31, 2017, as the result of an automobile accident on Route 208 and Sunny Drive. Kami, 44, was born on December 23, 1972, to Roger and Charlotte (Cochran) McFarland. On October 8, 1994, she married the love of her life, Gary Dinger. They had two wonderful sons, Aaron and Luke. Kami went to North Clarion Elementary then moved to the Redbrush area, where she graduated in 1992 from West Forest High School. After getting married, Kami and Gary lived in Lake Lucy, Leeper, Tionesta, and in early 2017, they moved to Fryburg. Kami was a school bus driver for Muccio Transportation in the West Forest School District and also worked for Clarion University. She loved spending time with her family and friends. In her free time, she loved swimming and bicycle riding. Her favorite trails were Lucinda, Sandy Creek, and Oil City Bike Trails. Kami also had a great love for animals, especially her two dogs, Champ and Max. Throughout her life, Kami had all kinds of animal including, goats, horses, dogs, and cats. 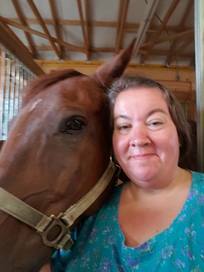 She had worked several years for the Clarion County Humane Society and also enjoyed helping at Redbrush Boarding Kennels. 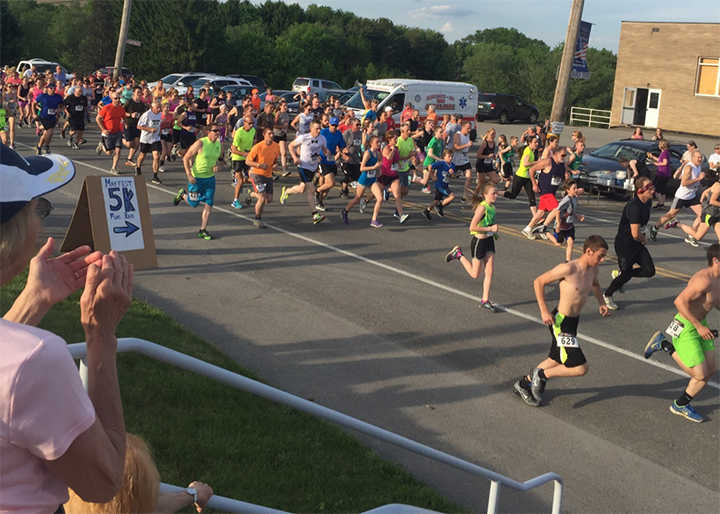 The Fun Run/Walk will start promptly at 7:00 p.m. in front of the Saint Michael’s Church on Route 208. Racers will travel down Route 208 into Marble on Marble Road, where they will turn around at the end of Marble Road, behind Montana’s Country Cafe. Participants will then travel back up Route 208 into Fryburg, past Saint Michael’s Church and continue on Route 208, turning left onto the Old Fryburg Road, and past the Fryburg car wash. Racers will turn around at the end of the Old Fryburg Road, where there is a water station. They will run back up Old Fryburg Road, onto Route 208, and back to the finish line at the entrance of the Saint Michael’s Church parking lot on the left of Route 208. Visit the 9th Annual Fryburg Mayfest website here for a complete list of activities.